YES THIS IS WHERE YOU LEARN TO PLAY REAL SONGS! 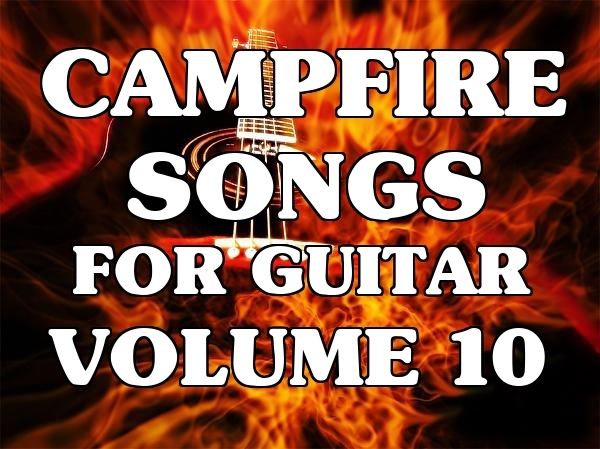 Of course you can use an acoustic or electric guitar for all of the Campfire Songs lessons. Just get in there and enjoy playing your favorite songs right away and easier than you ever thought possible. Run time is 2 hours and 50 minutes! 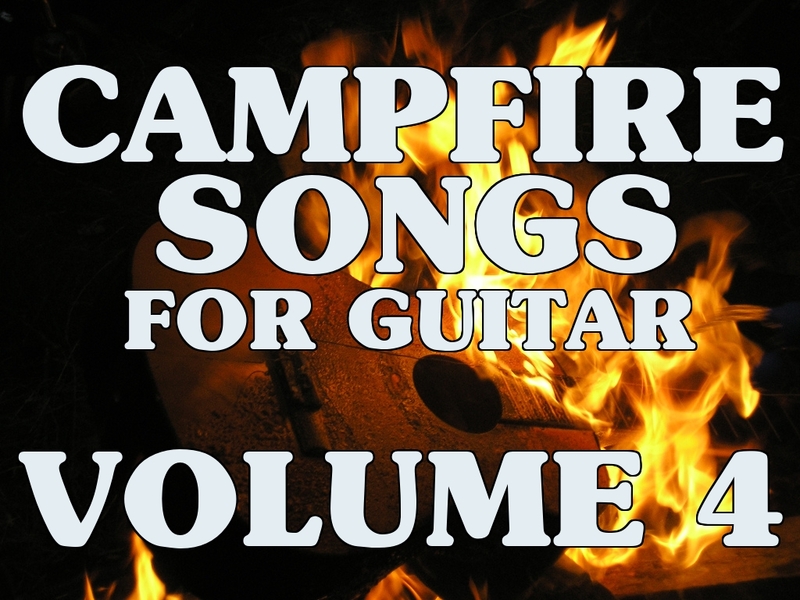 I have had lots of requests for what are known simply as "Campfire Songs". 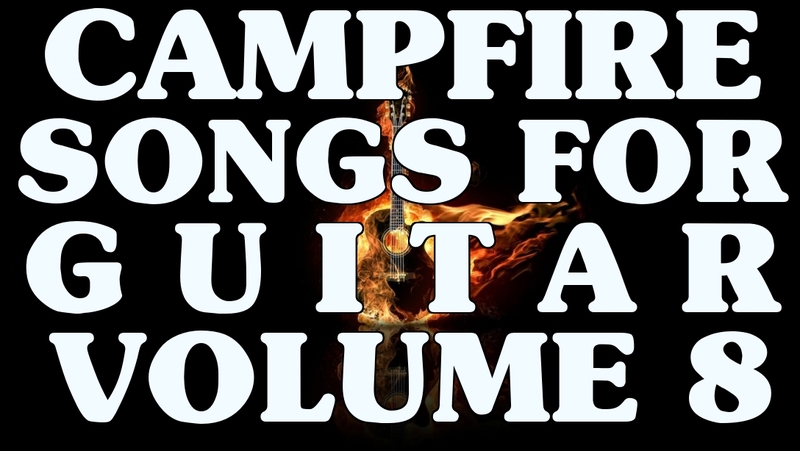 These are the type of songs that are very easy to play, everybody knows the song and knows the words, so a good, old sing-along is sure to happen when you break out any of these classics. You don't need anything but a basic knowledge of chords and an acoustic guitar and you are set. These songs are taught from the REAL songs, not some karaoke version. I teach you all of the rhythm guitar parts and the signature licks or parts that make everybody go "Hey, I know that that song" before any words are sung. There are classic rock, country, folk, modern and more types of songs that will be covered over this course. I will have a dozen songs from all genres and genders on these lessons. There are just way too many good songs out there to cover, so I will be releasing a lot of these. 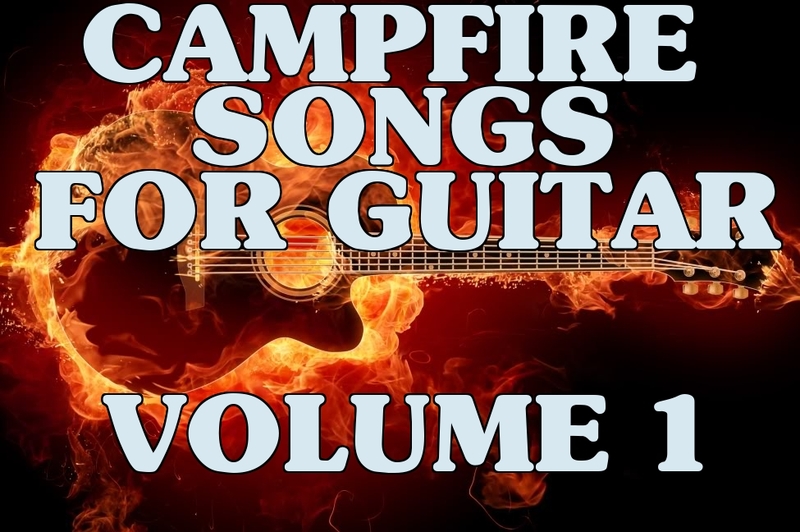 If you just want to entertain yourself from the comfort of your own home or want to hit the beach or the night clubs, these are the sure fire hits that will guarantee a great time for one or a hundred. Run time is 3 hours and 10 minutes. There are just way too many good songs out there to cover, so I will be releasing a lot of these. 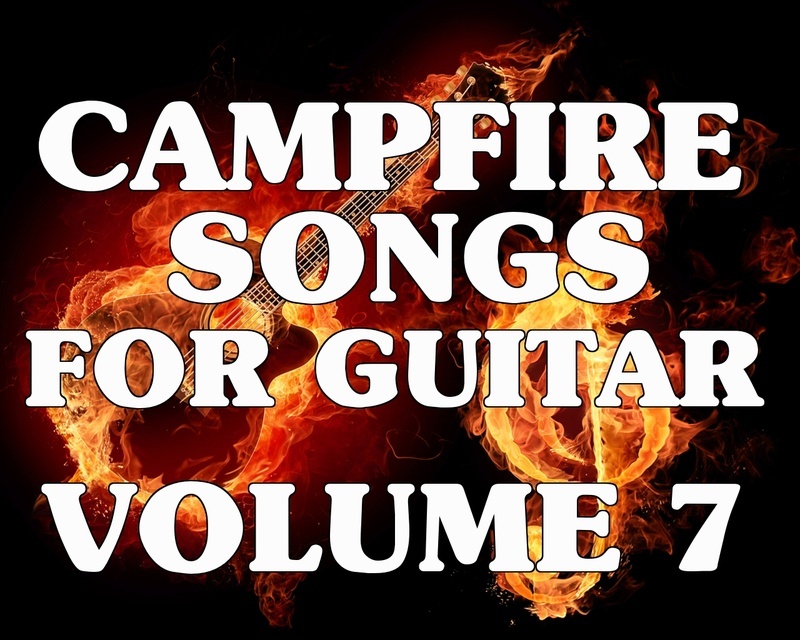 If you just want to entertain yourself from the comfort of your own home or want to hit the beach or the nightclubs, these are the sure fire hits that will guarantee a great time for one or a hundred. Run time is 3 hours and 45 minutes. Run time is 4 hours. 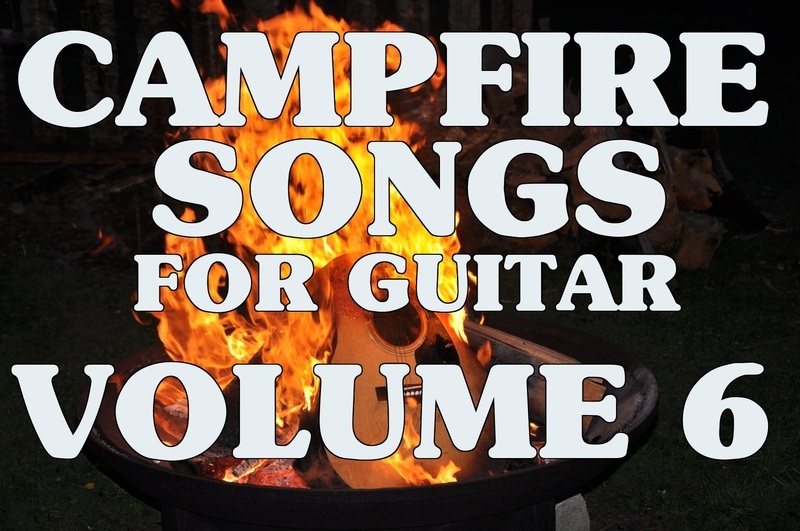 I have had lots of requests for what are known simply as "Campfire Songs". These are the type of songs that are very easy to play, everybody knows the song and knows the words, so a good, old sing-along is sure to happen when you break out any of these classics. You don't need anything but a basic knowledge of chords and an acoustic guitar and you are set. This particular collection has some harder edged stuff in it that will help satisfy EVERYBODY at any gathering. These songs are taught from the REAL songs, not some karaoke version. I teach you all of the rhythm guitar parts and the signature licks or parts that make everybody go "Hey, I know that that song" before any words are sung. There are classic rock, country, folk, modern and more types of songs that will be covered over this course. I will have a 11 songs from all genres and genders on this lesson and 12 on all of the other volumes. These songs are taught from the REAL songs, not some karaoke version. I teach you all of the rhythm guitar parts and the signature licks or parts that make everybody go "Hey, I know that that song" before any words are sung. There are classic rock, country, folk, modern and more types of songs that will be covered over this course. 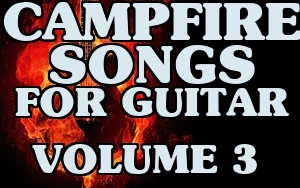 I will have 8 songs from all genres and genders on this lesson and 11-12 on all of the other volumes. 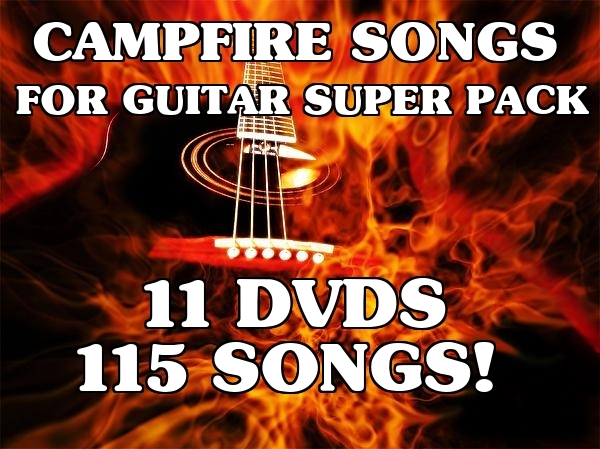 CAMPFIRE SONGS SUPER PACKS DEALS! 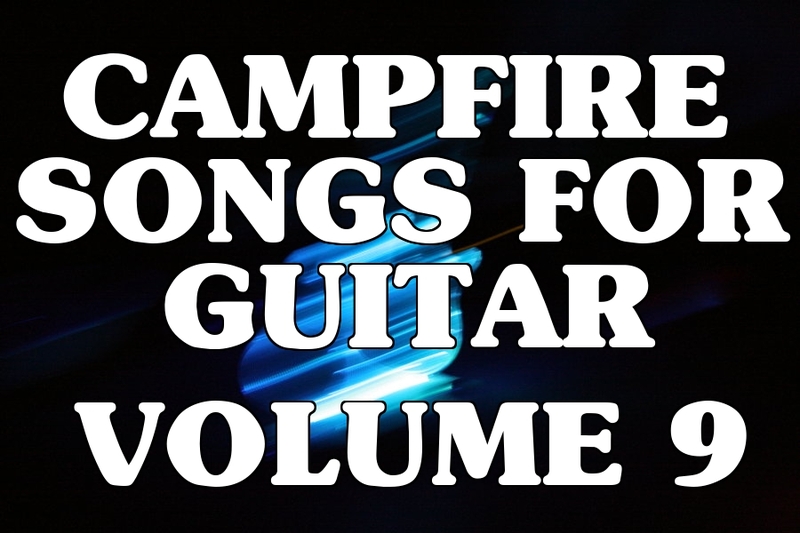 OK, now that the first 10 Campfire Songs videos are done, it's time to save you some money! I'm going to make the following offers that will include all of the first 10 videos. There are download deals that will go for only $19.95 (that is half price of buying them individually). Then I'm offering your all 11 DVDs (Campfire 9 is a 2 disc set) for the price of $69.95 and free shipping to anywhere in the world. So, that deal is the same as getting 3 videos for free, plus the free shipping. I'm more than happy to bring you these new super savings! 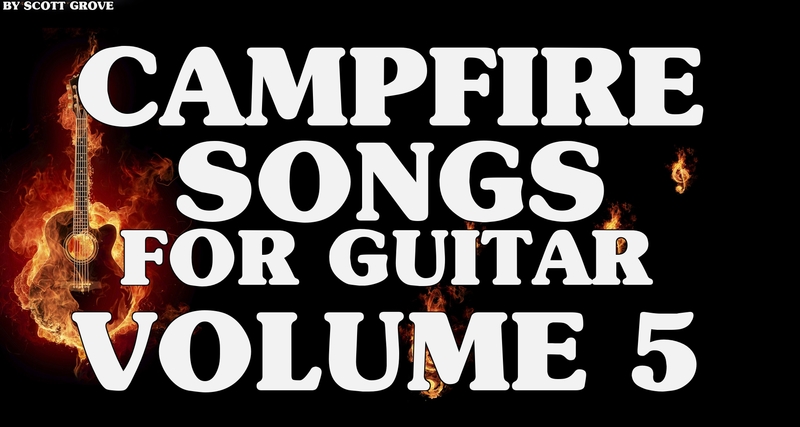 Thanks again and here are your links to take advantage of each and every video available (so far) in the Campfire Songs series! 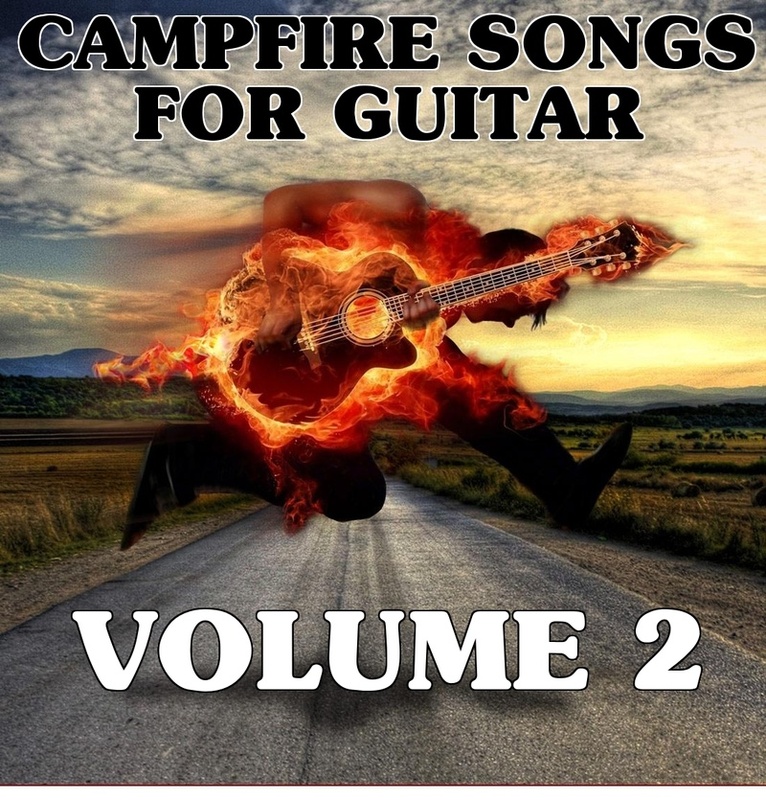 CAMPFIRE SONGS 1-10 DVDs (11 DVDs TOTAL) $69.95 FREE SHIPPING!